Wellgood Work > Blog With Right Sidebar > advice > It’s so Easy! We sometimes tend to make things more difficult than they need to be, often because we don’t know how to do it any differently. We don’t have the skills, or the understanding that if we allow, ask for and receive the energy of the Universe to support us…..whatever we’re working with can be easier. Sometimes it has to be spelled out for us. 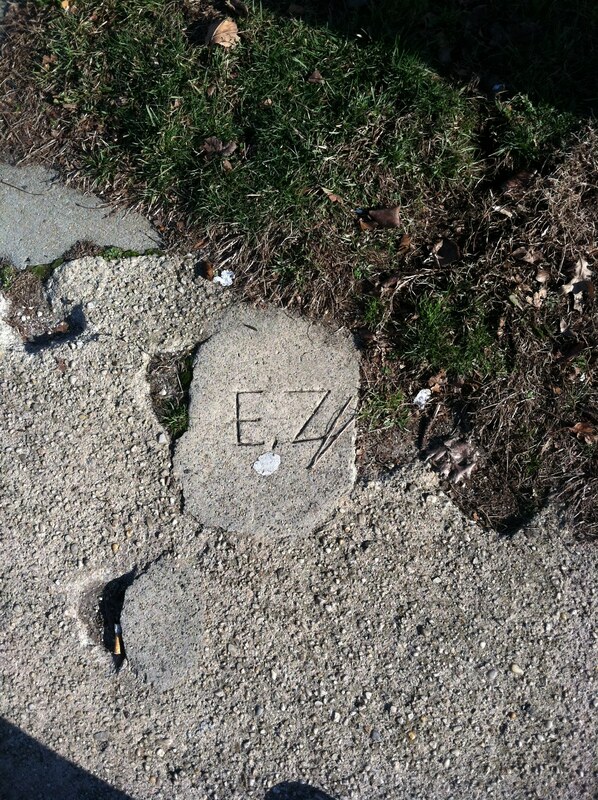 This appeared for a friend of mine on the sidewalk during a walk….just the right reassurance at the right time! One of my favorite mantras in the morning as I set up my day is: I wonder how easy today can be? I love today being easier than I can imagine! Love to all.